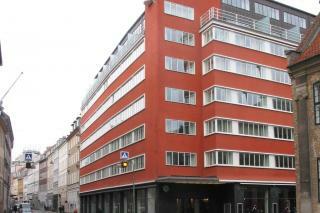 From 1910, Daells in Nørregade was the department store for the man in the street – and his family. It sold solid quality at discount prices. There was something for all age groups and both sexes. Work clothes for men. Kitchen utensils, ladies fashions and lingerie for women. Practical clothes for boys and girls. And there were toys – and a special Christmas catalogue – that sparked a glow of expectation in the eyes of Danish children everywhere. Daells revolutionised retail trading with its mail-order catalogue. New types of goods were dispatched to the entire country. Especially small towns with no clothes shops or toy shops benefited from the mail-order catalogues. Daells was not just modern because of its mail-order sales. The department store's main customer segment in Copenhagen was working-class shoppers who came into the store in Nørregade. They were met by sales assistants with a progressive and modern sales approach. As it said in the organisation plan for employees in the 1930s: The worst thing a shop assistant can say to a customer who is asking about a product is the question: "How much can you afford?" ..... A customer enquiry about a product must be immediately answered with "Yes, take a look at this, for example." ... Even so, it is not a good sale for us unless the customer feels something like a lucky bargain hunter at an auction." "